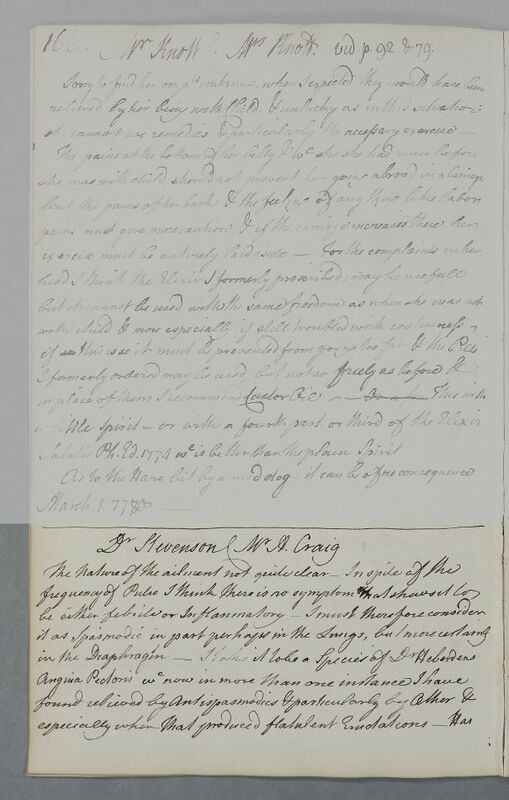 Reply, 'Dr Stevenson C(oncerning) Mr A. Craig', whose condition Cullen believes to be 'a Species of Dr Heberdens Angina Pectoris'. He suggests using Æther. 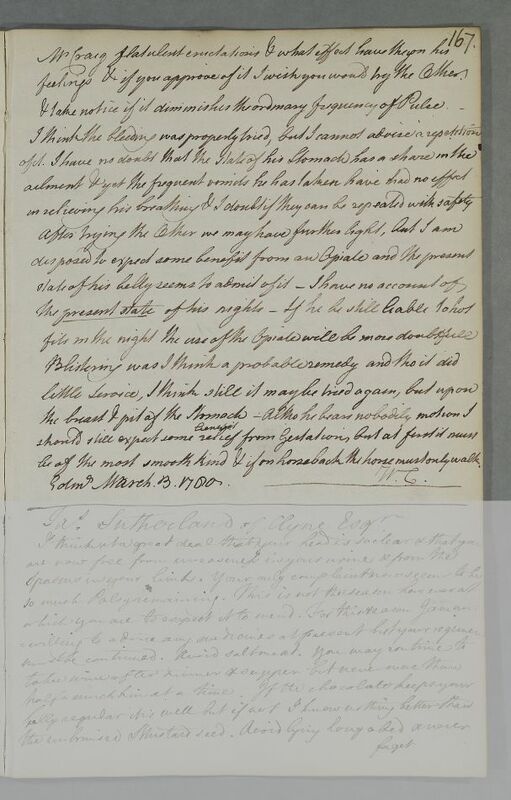 Summary Reply, 'Dr Stevenson C(oncerning) Mr A. Craig', whose condition Cullen believes to be 'a Species of Dr Heberdens Angina Pectoris'. He suggests using Æther. Case of Mr Alexander Craig who has swollen legs. be of the most smooth kind & if on horseback the horse must only walk.